From a long lineage of vintners, Vincent Dampt continues the family tradition of excellence at Domaine Daniel Dampt et Fils, which was established by his father. Mindful of the generations that came before him, Vincent has changed little, sticking with the simple but effective recipe of growing top quality fruit and allowing the individual terroir of each appellation to shine through, as did his father, Daniel Dampt and grandfather, Jean Defaix, before him. The construction of a newly built, state-of-the-art winery has allowed Vincent to increase the quality and production of his wines. Located on the outskirts of the small village of Milly beneath the Premier Cru Cote de Lechet, the winery features temperature-controlled stainless steel tanks that allow the wines to be fermented at a constant 18C. 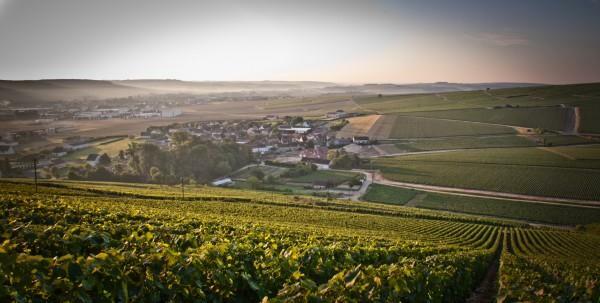 From 30 hectares of vineyards split evenly between Chablis A.C. and five premier crus: Vaillons, Beauroy, Cotes de Lechet, Fourchaume and Les Lys, the family produces 12,000 cases annually. Wine Advocate 92 "The 2014 Chablis 1er Cru Vaillons is a huge step up from the 2013 (and both were tasted blind.) Here is another example of a fine, mineral-driven bouquet from this premier cru vineyard: chalk and flint notes permeating the veil of citrus lemon and lending it terroir expression.